Price includes shipping. Available in DVD or VHS. 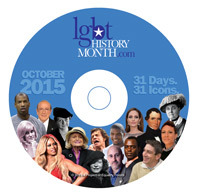 This compilation DVD includes all 31 LGBT History Month 2017 Icon videos plus the two-and-a-half-minute overview video and Public Service Announcement. 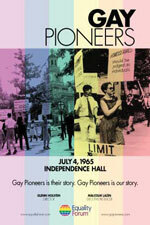 It's perfect for your LGBT History Month celebration!